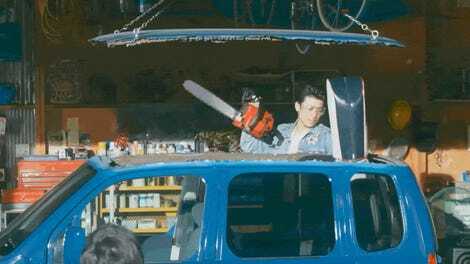 Most Americans only know Daihatsu from the sad little Charade that was sold here back in the late ‘80s and early ‘90s, and that’s a huge shame, because I’m starting to believe that Daihatsu is the only truly and consistently wonderful modern automaker. 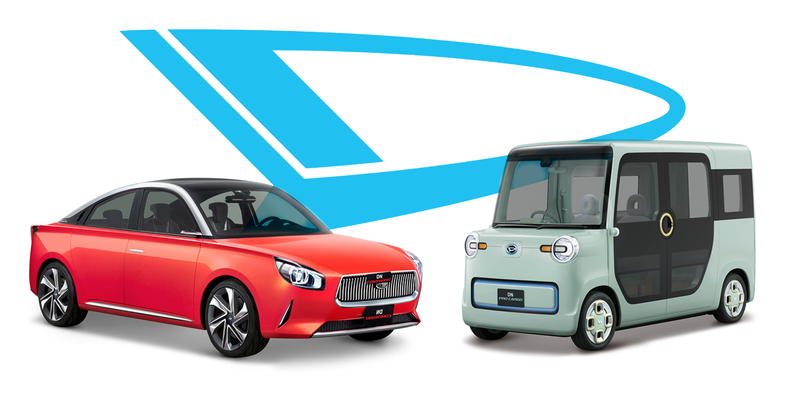 That’s probably hyperbole, but look at their two new concepts for the Tokyo Auto Show and tell me you don’t kind of agree. First, let’s look at the DN Compagno, a car Daihatsu says is a “compact four-door coupe for active seniors,” a statement that I disagree with on two points: A, four doors means it’s not a coupe, and two, why just “active seniors?” This thing is fantastic even for people too young to desire dinner at 4 p.m.
Just take a look at this thing. It’s a small car, but somehow Daihatsu’s design team has managed to give it really lovely proportions. They’ve incorporated retro design cues without making it feel cloying or cartoonish, while at the same time making it feel modern and charming. It’s sporty, elegant, friendly, sophisticated, all at once; that’s not easy to do. Why do we have to deal with small cars here that look like the Nissan Versa or the Toyota Corolla when cars like this are possible? The DN Compagno takes some design cues from the charming original Compagno from the 1960s; it also sports the same vintage badges as the original car. Daihatsu has built this one with a 1-liter turbocharged engine, but could fit a 1.2-liter hybrid drivetrain as well. How is it that Toyota and Nissan and Lexus and Infiniti’s design directions are somehow getting more and more baroque and overdone and cluttered and crazy, and somehow Daihatsu is quietly out there designing lovely things like this? Why don’t we have small cars like this in America? If this little sedan was available in the same price range as the Versa or Corolla or Fiesta sedan, I think it could do great. Less tuned to American tastes and needs but still fantastic is Daihatsu’s Kei-concept, the DN Pro Cargo. It’s a traditional space-maximizing box-on-wheels design, but it just does that job so well and so stylishly I just want to squeeze the crap out of something. ...and something that could be either a delivery vehicle or someone’s mobile closet. It’s a great, flexible design, and given the sorts of vehicles like this already for sale in Japan, not such a stretch to imagine in production. That’s the other thing—unlike most concept cars, these I can actually imagine making it to production almost intact. Daihatsu’s current lineup is already full of cars like this, with novel, somewhat retro styling cues and excellent space utilization. I think it’s time for Daihatsu to make a return to America, and start with that wonderful Compagno concept. Daihatsu is owned by Toyota as it is; Toyota should federalize this thing and introduce it as a new Toyota Cressida, maybe, and have it as an option to a Corolla.